What are the Jaybird X2? The Jaybird X2 are the natural successors to the Jaybird Bluebuds X, a pair of great-sounding in-ear Bluetooth sports headphones that are disappointingly let down by a poor fit. Priced at £150, the X2 are £30 more expensive than the Bluebuds X, but offer the same impressive sound quality and battery life alongside some welcome changes to the design and fit. They're up against some pretty stiff competition, with the Jabra Pulse Wireless andMonster iSport SuperSlim only a couple of the great sporty in-ears available right now. There's certainly plenty to like about the Jaybird X2, but it comes with some caveats. If you're familiar with the previous Jaybirds, then the X2 design will be recognisable. These small in-ears are attached to a flattened, tangle-free cord, which rests behind your neck when you're working out. You can wear them under or over the ears, but I'd recommend opting for the cable behind the head to get the most secure and comfortable fit. A trio of cord-management clips is included to shorten the cable if you prefer. The standard micro-USB charging port, nicely concealed behind the casing of the right earbud, and an easy-to-reach in-line remote remain. That remote can be used to take calls or control music playback, including skipping tracks or cranking up the volume. 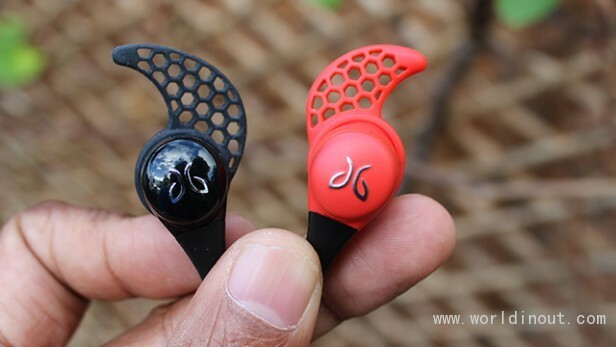 Jaybird has dropped the glossy plastic look in favour of a much nicer, matte-plastic finish. The headphones are available in a number of colour options this time too. I opted for a red pair, which add character without screaming sports headphones in the way of the Monster's iSports, for example. One of the biggest issues with the Bluebuds X headphones was the fit. Much of that was to do with choosing the correct ear fins and buds. The fins are little winged pieces of rubber, which sit inside the arches of your ear. The buds, of course, sit inside the ear. Jaybird doesn't have a shortage of options available here. You get both silicone and Comply foam tips, the latter of which are little trickier to fit. The foam and silicone offers different levels of isolation, so whether you want to entirely drown out ambient noise, or prefer hearing some of your surroundings, you're well covered. I had to work my way through several combinations before I found a pairing with which I was satisfied. I rarely have to go to so much effort to get a good fit, and I can't help but think that there's a better design solution here. Before you plug them in, you'll also need to ensure that the winged fins are pushed back far enough for a secure fit. once they're in, however, they won't budge – just like the previous Jaybird in-ears. They're light and comfortable in use; I've run long distances and used them for short gym sessions and they worked well in both instances. The Bluebuds X were the best sounding sports in-ears I'd tried, until the Jabra Pulse Wireless turned up. Performance-wise, there's very little difference between the Bluebuds X and the X2 – and that's not necessarily a bad thing. There's plenty of bass, but it doesn't suffocate the crisp, clean treble. Both high-tempo tracks and audiobooks are treated equally. If you want bass, you'll get plenty of it; if you want the detail, the X2 delivers on that front too. Noise isolation is fantastic as well. With the correct earbuds in place, audio will be heard only by you, with no leakage to the person on the treadmill next to you. In terms of battery life, Jaybird claims to offer the same eight hours as its predecessor. This is far more generous than what Jabra and the majority of sports in-ears currently offer. While it sounds impressive, I have some reservations. Using them during a marathon run, they ran out three and half hours into the race – significantly less than the stated time. Of course, the loudness of the volume can affect battery, for example, but not to this extent. Using the X2 for an hour or so a day has proved less problematic, but I'd definitely think twice about taking them out on a long-distance run. Should I buy the Jaybird X2? 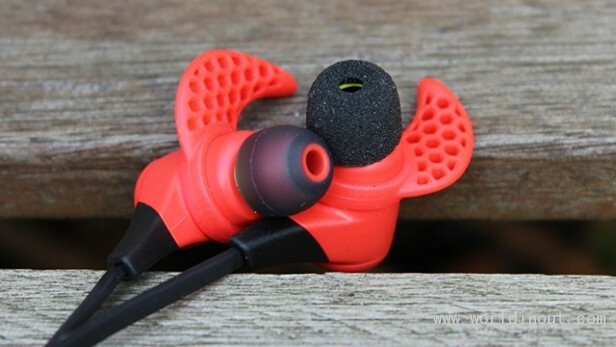 If you're in the market for a pair of sporty in-ears, then the Jaybird X2 have plenty going for them. once you've found the perfect buds, they're up there with the Jabra Pulse for sound quality and comfort. I do still have some reservations about the claimed battery life, but if you're not planning to run a marathon with them, they should be fine. 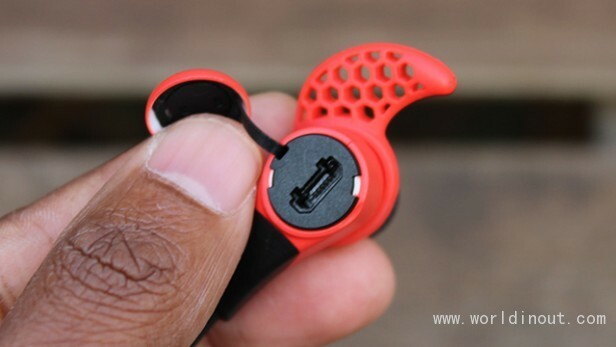 Compared to the competition, they're significantly cheaper than the Jabra Sport Pulse Wireless (£199) – my current choice of Bluetooth sports in-ears. However, finding a comfy fit is an easier proposition with the Pulse, plus you get the useful addition of a built-in heart rate monitor. The Monster iSport SuperSlim are cheaper at £129, and offer solid battery life and a snug fit. 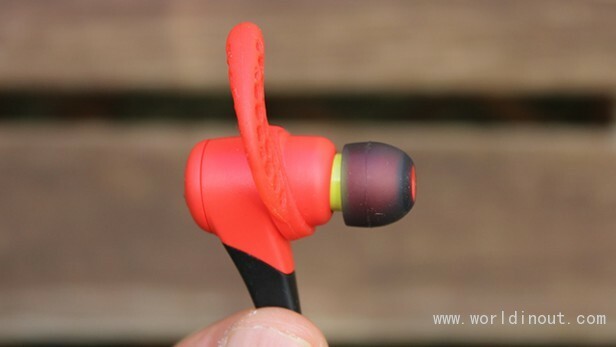 However, they lack the crispness and detail of the Jaybird X2. I enjoyed using the Jaybird X2, and if you have the money to spend then they're great company on a run or in the gym. If you can get a secure fit then the Jaybird X2 are up there with the best in-ear sports headphones you can buy right now.